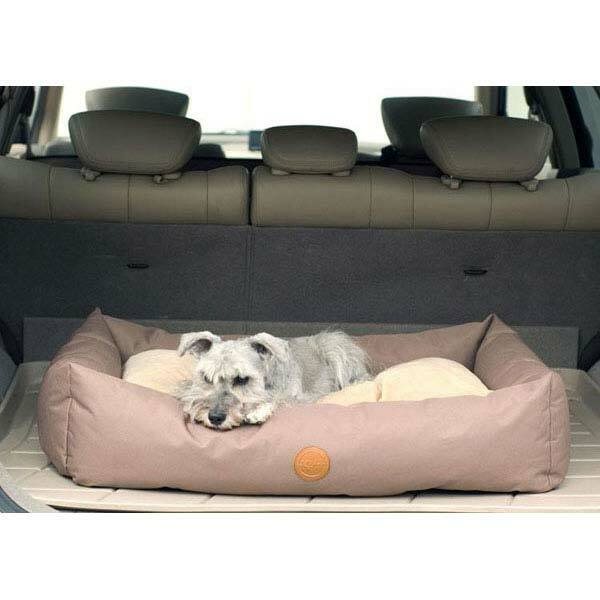 K&H Pet Products Travel / SUV Pet Bed Large Tan 30" x 48" x 8"
The small size fits perfectly in a small to midsized SUV while the large fits great in a mid to full size SUV. The gray and tan colors compliment most interior automobiles. The outside bolster is made from 600 denier nylon with a water-resistant backing. 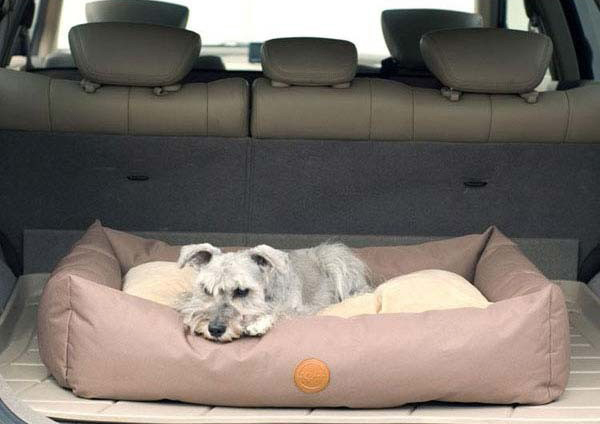 the removable cushion is made from soft and luxurious microfleece. Cushion has tufting to keep the premium polyfil in place. the bottom of the bed has a "stay put" non-slip fabric to keep the bed in place. Easy machine wash care. Sleeping Dimensions: 25" x 42"
Dimensions: 30" x 48" x 8"